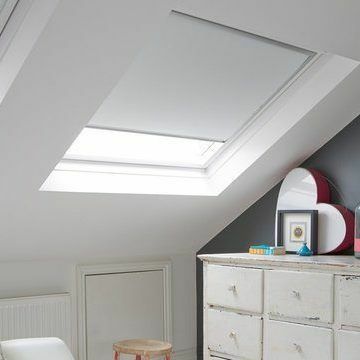 Stay in control of the light that comes in through your skylight with one of our made-to-measure blinds. We’ve Roller, Venetian and Pleated options. The ultimate guide to window blinds. Explore a range of styles and find the one that best meets your needs. Book an appointment to view samples at home. Choose a blackout Roman or Roller blind in a fun design, striped or plain fabric and make sure your child gets a great night’s sleep. Read our expert advice on choosing the right product for your challenging windows.